Botswana is renown as a safari destination. That’s a well-known fact. Lesser known, and yet, more appealing facts, lie on the far side of Botswana Tourism’s popular attractions. 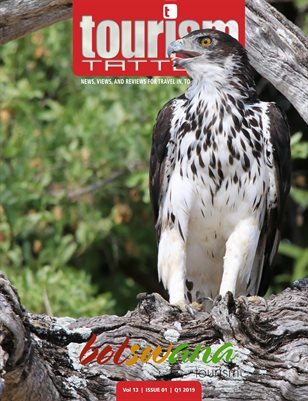 In this edition, we explore the diversity of tourism attractions that abound along a route extending over 2000 km from the capital city of Gabarone in the Southern District, through the Ghanzi District to Gchwihaba Caves, into Ngamiland Districts’ famous Okavango Delta, and ending in Botswana’s far Northern District of Chobe where the country butts up against Namibia, Zambia, and Zimbabwe at Kasane.